The beginning of a new year is an incredibly exciting time for engaged couples. It is safe to say that we absolutely adore sharing our home and our gardens with couples, their families and their chosen guests to create an idyllic day - the day of dreams. Since then, we’ve hosted two of our own family weddings and so many wonderfully memorable occasions here, before we opened our doors and started to share Coombe Trenchard with a selected number of seasonal booking opportunities which includes weddings, for they just work so well here. Our decision to take on a limited number of bookings each year assures the highest personal attention to detail, and a unique and extra special experience for each couple that falls in love with our location, and feels connected and ‘at home’ in our home. 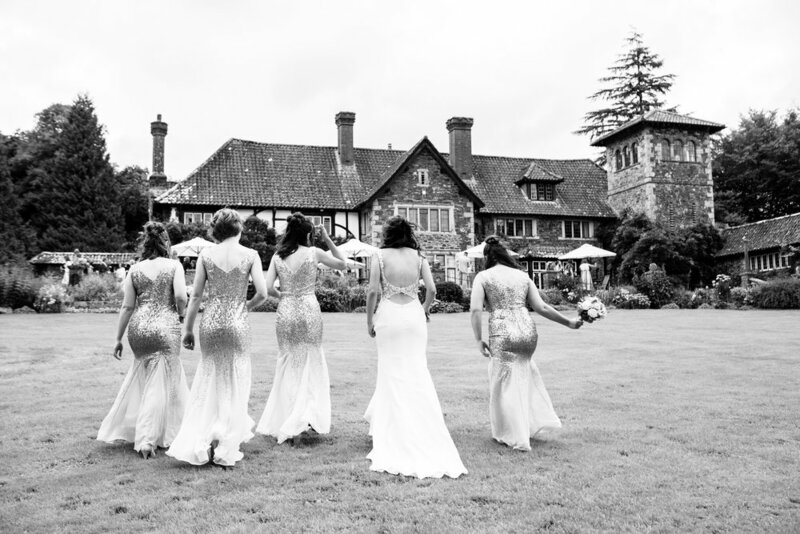 We love to host events, and to really look after our guests, and our pledge to not ‘pile the bookings high means our product and our service will always be delivered with focus, energy, style and un-interrupted grace - giving everyone perfect peace of mind, and our couples the chance to take in every magical moment of their Coombe Trenchard wedding. Those seeking a venue for an elaborate two day weekend summer celebration - are most welcome to get in touch. And those planning their day in an entirely different fashion, with fewer guests…or even marrying mid-week - are also welcome to get in touch too! So what’s the catch? Well there isn’t one really… except that if Coombe Trenchard is the venue for you - you have to book with us quickly before our diary of limited edition dates for each year closes! We have just a snippet of availability left this summer, and for now our diary is still open for 2020 and 2021. But it won’t be long before our allocated dates for weddings have been secured, of that we are certain. If you’d like to start exploring Coombe Trenchard’s opportunities for your wedding by casting your gaze over our wedding brochure and indicative wedding price guide, or by asking me any questions you may have - do get in touch by clicking here. My heartfelt thanks to Kelly and James who married at Coombe Trenchard last year - it is their images I have shared with you throughout this blog post, all captured beautifully by Elizabeth Armitage. Happy happy happy new year everyone - I have a feeling it is going to be quite marvellous, especially for our 2019 couples.